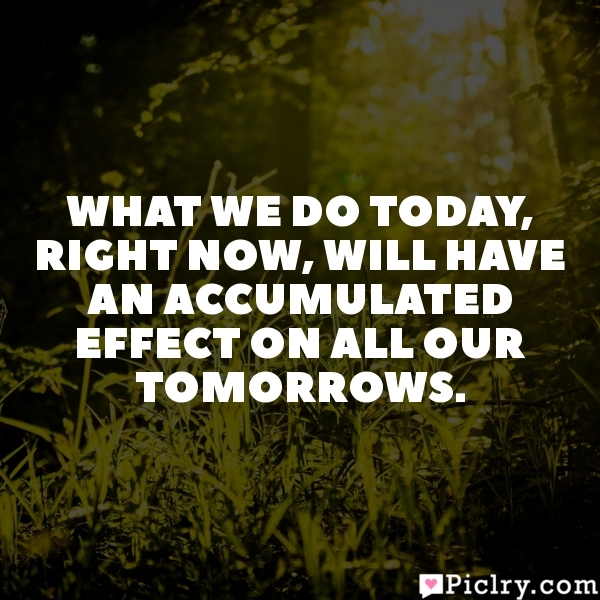 Meaning of What we do today, right now, will have an accumulated effect on all our tomorrows. Challenges in life can either enrich you or poison you. You are the one who decides.